1 施設の名称： Dalian Shipbuilding Industry Marine Service Co., Ltd.
2 施設の名称： RL Kalthia Ship Breaking Pvt. Ltd.
3 施設の名称： Priya Blue Industries Pvt. Ltd.
4 施設の名称： Shree Ram Vessel Scrap Pvt. Ltd. and Shree Ram Shipping Industries Pvt. Ltd.
5 施設の名称：Leela Ship Recycling Pvt. 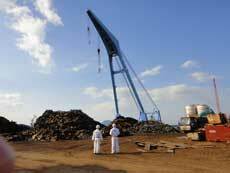 Ltd.
9 施設の名称：ISIKSAN SHIP RECYCLING and TRADING Co. Ltd.
16 施設の名称： TRIVENI SHIPBREAKERS PVT. LTD.
24 施設の名称： NBM IRON AND STEEL TRADING PVT. 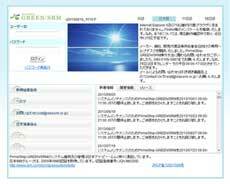 LTD.
26 施設の名称： LEELA GREEN SHIP RECYCLING PVT. LTD.
27 施設の名称： P. RAJESH SHIP BREAKING PVT. LTD.
28 施設の名称：SACHDEVA STEEL PRODUCTS (SHIP BREAKERS) LLP / JAI JAGDISH SHIP BREAKERS PVT. LTD.
29 施設の名称：SAI INDUCTOMELT PVT. LTD.
30 施設の名称： SALASAR BALAJI SHIP BREAKERS PVT. LTD.